Prices do not include applicable sales tax. SA-2010 OR NEWER HELMET IS REQUIRED FOR ALL DRIVERS. We do not allow SNELL, DOT or M-rated helmets. If you do not have a proper SA-2010 or newer helmet, you may rent one from us. Entry is PER DRIVER, not per car. Each driver must register and pay individually. Pre-registration is strongly recommended. If you are unable to attend, we regret not being able to offer refunds. Open Track Days/Track Attack Weekends run RAIN or SHINE! All drivers *MUST* attend the mandatory drivers meeting. If you fail to attend the drivers meeting, you will not be allowed on track. Drivers must wear a helmet and seat belt or safety harness at all times while on track. A SA-2010 or newer helmet is REQUIRED for all car drivers!! Motorcycle helmets are not acceptable. Natural fiber long-sleeve shirt is recommended. Long pants and closed toed shoes are required! Convertibles are allowed. Driving a convertible or any OPEN TOP vehicle, even with a pop-up, factory or aftermarket roll bar, is an added risk. If you are unsure if your rollover protection is adequate then seek a professional opinion or use a different vehicle. We can not advise you, other than to state the obvious dangers of open tops at high speeds. Tech Inspection required by FIRM staff. The FIRM’s Track Policies must be adhered to at all times. All drivers must be over 18 and have valid driver’s license. Drivers under 18 *may* be allowed on track if they hold a recognized competition license AND have a parent sign The FIRM’s parental liability and release waiver form. Fire suits are recommended for all race prepared cars. The paddock speed limit at The FIRM is 5 MPH. Both the driver and passenger windows must be down. Passing is allowed when the wheels are straight and then only with a “point by” from the driver being passed. Return to pit-out for tire inspection if you have put two or more wheels off course. If you drop two or more wheels off the course, go to the paddock for consultation. Repeated off course driving may end your day. 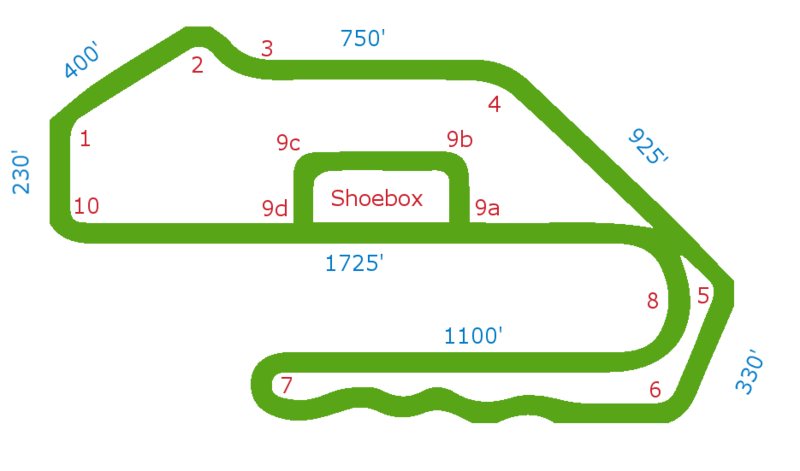 The FIRM reserves the right to refuse access to the track to anyone at anytime. Track Days are for drivers of all experience levels. However, you will be required to purchase a minimum of one instruction session with a FIRM instructor if you have no prior track experience. Green: Your session has started. Checkered: Your session is over – finish this lap and return to the paddock. Yellow: Caution, slow down, no passing, and be prepared to avoid track blockage. Red: Come to an immediate and safe stop. Black: Slow down, no passing – come to the paddock. Blue with yellow stripe: Check your mirrors – a faster car is about to pass you!